NOTE: The following pages present a detailed historical chronology of the development of social insurance, with particular emphasis on Social Security. 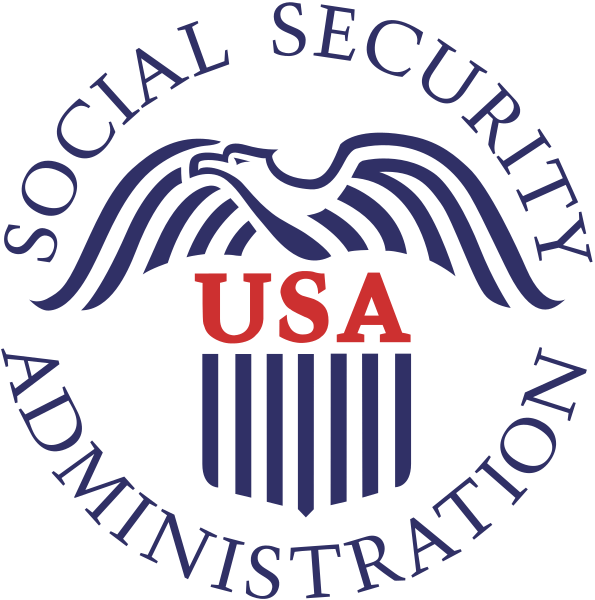 Items are included in this compilation on the basis of their significance for Social Security generally, their importance as precedents, their value in reflecting trends or issues, or their significance in Social Security Administration’s administrative history. The information includes legislative events in Social Security and related programs. Our expectation is that this Chronology can be used as a reference tool and finding aid for important dates and events in Social Security’s long history. SPECIAL NOTE: The bulk of this Chronology was compiled over nearly 20 years by Dr. Abe Bortz, the first Social Security Administration Historian. We owe a special debt of gratitude to Abe Bortz for this sustained effort. March 27 – April 2, 1960 The sixth White House Conference on Children and Youth was held. May 4, 1960 Secretary Flemming presented President Eisenhower’s proposal for a Federal-State program of protection against the cost of illness for low income people aged 65 and over. According to the proposal, participation would have been optional with an income test to determine eligibility. The States, the Federal Government and enrollees would have shared in financing a broad range of medical benefits. b Senator Leverett Saltonstall (R. Mass.) introduced a bill (S. 3784) which put the Administration’s Medicare program into legislative language for the first time in either chamber. July 1,1960 The Social Security Administration’s Woodlawn headquarters were dedicated. August 24, 1960 The Conference Committee agreed to the medical care provisions added by the Senate, except for Senator Long’s amendment. A provision in the bill as approved by the House was reinstated, to permit the use of Federal funds for 42 days of medical care of a patient in a general hospital as the result of a diagnosis of tuberculosis or psychosis. September 13, 1960 The Social Security Amendments of 1960 were enacted. The new law provided increased Federal grants to States for medical care programs for aged people getting old-age assistance if the increase was spent on vendor medical payments. In addition, a new program (commonly referred to as “Kerr-Mills”) of Federal grants to States for vendor medical care programs for aged people not on public assistance but unable to pay for needed medical services was provided. Old-age and survivors’ insurance was amended to provide disability insurance benefits to disabled workers of all ages and to their dependents; the retirement test was liberalized, as well as were eligibility requirements. November 8, 1960 President-elect Kennedy appointed a “Task Force on Health and Social Security for the American People”, with Wilbur J. Cohen as Chairman. The task force was directed to review from among the most pressing and significant health and welfare proposals those which should have priority in the initial phase of the new administration. November 1960 Judge Friendly of the Court of Appeals for the Second Circuit wrote an opinion in Kerner v. Flemming which had a major impact upon the development of the law as to “the test of disability” under the Social Security Act and upon the administration of that law by the Department of Health, Education, and Welfare. February 9, 1961 The President’s Health Message was the first of its kind ever to be devoted exclusively to the need for a health care program. May 8, 1961 The Public Welfare Amendments of 1961 were enacted amending public assistance Titles of the Social Security Act by: (1) making Federal grants available to States wishing to extend their programs of aid to dependent children to include children deprived of parental support or care because of parent’s unemployment; (2) broadening the term “dependent child” to include child recipients of aid to dependent children who had been removed to foster family houses because of a court ruling that continuance in the family home would be contrary to the child’s welfare; and (3) increasing to 100% the Federal share of the costs of training public welfare personnel. May 1962 The Social Security Administration started the “leads” program–sending letters to advise aged, insured workers, who had not claimed benefits, of their entitlement to these payments. October 10, 1962 Public Law 87-792, entitled, “Self-Employed Individuals Tax Retirement Act of 1962,” was approved. It gave self-employed people a tax postponement for income set aside in qualified pension plans. January 28, 1963 An HEW reorganization order removed the Bureau of Family Services, the Children’s Bureau, and the Cuban Refugee Program, from SSA and placed it in a newly-created Welfare Administration. Dr. Ellen Winston was made head of the new Welfare Administration. BOASI was abolished; Robert M. Ball remained as the Commissioner of Social Security; Victor Christgau became the Executive Director of SSA. February 5, 1963 President Kennedy sent to Congress a special message on “Mental Illness and Mental Retardation.” On the same day, Congressman Mills introduced H.R. 3386 to carry out those recommendations in the President’s message which involved amendment of Title V–the maternal and child health and welfare title of the Social Security Act and establishment of a new title of that act. February 21, 1963 President Kennedy’s proposals for health care for the aged were submitted to Congress in a Special Message on Aiding Our Senior Citizens. The Administration’s hospital-care bill was introduced in the House of Representatives by Representative King and in the Senate by Senator Anderson. June 9, 1963 The Secretary of the Department of Health, Education, and Welfare announced the appointment of a 13-member Advisory Council–the second in a series of councils called for by the 1956 Amendments to the Social Security Act. The Council was directed to begin a comprehensive review of the Nation’s old-age, survivors, and disability insurance systems. August 1963 Lodge #1923 of the American Federation of Government Employees gained exclusive recognition under Executive Order 10988 to represent the non-supervisory employees at the Social Security Administration’s headquarters. October 24, 1963 President Kennedy signed the Maternal and Child Health and Mental Retardation Planning Amendments–the legislation, which amended Title V of the Social Security Act and added a new title to the Act, was aimed at preventing and combating mental retardation. The law added Title XVII to the Social Security Act. This title authorized what were essentially one-time planning grants for States to assist in developing plans for combating mental retardation. February 10, 1964 President Johnson outlined a many-sided attack on the Nation’s most serious health problems in a Special Message to Congress: Health of the Nation. He urged the approval of a program of hospital insurance for the aged. August 20, 1964 The Economic Opportunity Act was signed by President Johnson. Enrollees in two programs established by the act–“Job Corps” and VISTA–were considered to be Federal employees for OASDI purposes and were covered by that program on the saw basis as other Federal employees who might be covered under OASDI. September 26, 1964 The first issue of a Social Security Commemorative Postal Card was made by the Postal Service. This worked in with the International Social Security Association’s Annual Conference which was held in Washington, D.C.
January 7, 1965 President Johnson’s first legislative message to the 89th Congress, Advancing the Nation’s Health, detailed a program including hospital insurance for the aged under Social Security and health care for needy children. April 3, 1965 Canada enacted a pension plan which established, for the first time, a contributory system of earnings–related old age, disability and survivors insurance benefits. April 8, 1965 The House passed H. R. 6675, the “Mills Bill,” without amendment. July 1, 1965 A provision became effective that children under 18 in families receiving aid to families with dependent children could earn up to $50 a month without having public assistance payments reduced. Another provision became effective that young people aged 18 to 21 could be included in payments made under the aid to families with dependent children program if they were attending a college or university. Another provision became effective that Federal funds under both the old age assistance and the medical assistance for the aged programs could be used on behalf of an aged person during the mouth when he or she was either admitted to or discharged from a medical institution. July 30, 1965 President Johnson signed H.R. 6675 to provide health insurance for the elderly. It was signed in Independence, Missouri, in the presence of Harry S. Truman who opened the fight for such legislation in a message to Congress in 1945. July 30, 1965 The Social Security Act and the Railroad Retirement Act were amended to provide protection against the cost of hospital and related care to persons aged 65 and over and entitled to monthly retirement benefits under these acts (and to persons not so entitled who would reach 65 before 1968); to permit all persons aged 65 and over to purchase protection against the cost of physician’s services, one half of such cost to be paid by the Federal Government out of general revenues; to liberalize cash benefits, the retirement test, and the definition of disability under old age, survivors, and disability insurance; to liberalize the Federal matching ration for public assistance; to require a State which desired Federal matching of the cost of medical care for medically-indigent aged persons to provide similar protection to all needy persons for whom the State was receiving Federal grants; and to increase the Federal grants to the States for maternal and child health and welfare services. September 16, 1965 As another step toward the implementation of the Social Security Administration’s reorganization, the following appointments were made: Karl Bredenberg, Deputy Assistant Commissioner, Field Office of the Commissioner. John Campbell, Regional Assistant Commissioner, Boston, Mass. Maurice Dewberry, Regional Assistant Commissioner, Charlottesville, Virginia. Byron Getz, Regional Assistant Commissioner, Chicago, Illinois. Wayman Register, Regional Assistant Commissioner, Dallas, Texas. James Murray, Regional Assistant Commissioner, Atlanta, Georgia. John Richardson, Regional Assistant Commissioner, San Francisco, California. E. Albert Kreek, Regional Assistant Commissioner, Kansas City, Missouri. Joseph Kelly, Regional Assistant Commissioner, New York, New York. November 11, 1965 President Johnson announced the initial appointments to the Health Insurance Benefits Advisory Council. Kermit Gordon was named the chairman. This advisory council’s function was to advise the Secretary on matters of general policy and on the formation of regulations for the health insurance programs. January 1, 1966 From this date on, any decision about a State’s public assistance plans made by the Secretary of the Department of Health, Education, and Welfare which would have the effect of denying Federal aid could be appealed in Federal courts. March 11, 1966 The Social Security Administration’s reorganization of 1965 was formally approved by the Secretary of the Department of Health, Education, and Welfare. March 31, 1966 This was the deadline for Social Security beneficiaries to enroll in the voluntary medical insurance program for coverage to start on July 1, 1966. All beneficiaries who reached their 65th birthday prior to January 1, 1966, were eligible. Persons who reached their 65th birthday after that date had to enroll during the three-month period before they became 65. The medical insurance payment of $3 a month was to be taken out of the person’s OASDI check, but his public assistance grants could be raised to compensate for the deduction. July 4, 1966 President Johnson signed into law the Freedom of Information Act. This law codified in federal administrative practice, for the first time, the idea that the public has a “right to know” what information the government maintains on its citizens. It thus became part of SSA’s policies on disclosure of information. July 1966 A program of extended office hours was instituted in all field offices of the Social Security Administration. The program provided for four additional hours to be scheduled each week in all of SSA’s more than 700 offices. October 12, 1966 President Johnson visited the Social Security Administration’s headquarters to participate in the 15th Annual Honor Awards Ceremony. October 30, 1966 The President signed H.R. 14355 and H.R. 17285, two railroad retirement bills. The first made improvements in the benefit provisions of the Railroad Retirement Act and improved the coordination of the benefits of the Social Security and railroad retirement programs more closely into line with those of Social Security. The second established a system of employer-financed supplemental annuities under the Railroad Retirement Act and provided a benefit increase of up to 7% for certain annuitants under the railroad retirement system–in general, for those who did not receive an increase, as a result of the 1965 Social Security amendments, through the operation of the Social Security minimum provision of the Railroad Retirement Act. January 23, 1967 President Johnson sent to Congress his special “Message on Older Americans,” embodying his recommendations for Social Security. He urged the provision of more adequate welfare payments related to the standards of the States themselves. January 31, 1967 The President, in a special message on veterans’ benefits, asked Congress to insure that no veteran’s pension be reduced as a result of increases in Federal retirement benefits, such as social security. February 28, 1967 The Gorham Report or “Report to the President on Medical Care Prices,” was submitted to the President. July 1,1967 States that had set up the new medical assistance program could continue to get Federal support for it only if, by this date, they provided a minimum of five services: inpatient hospital services, outpatient hospital services, skilled nursing home services (for adults); physicians’ services; and laboratory and x-ray services. December 15, 1967 Congress cleared for the President’s signature a bill (R.R. 12080) providing a 13% across-the-board increase in social security benefits and setting new restrictions on welfare payments. December 15, 1967 Uganda’s Social Security Act came into effect. Its purpose was to establish a provident fund called the Social Security Fund and to provide for its membership, the payment of contributions to, and the payment of benefits out of, the Fund. April 1, 1968 Japan extended compulsory coverage under the workers’ accident compensation law to some 2.5 million workers employed in commerce, finance and service industries. August 5, 1968 The Bermuda Contributory Pensions Act of 1967 became effective. Except for the Workmen’s Compensation Act of 1965, it was the first social security measure of its kind in Bermuda. December 1968 California’s Lt. Governor, Robert H. Finch, was named by President Nixon to be the eighth Secretary of the Department of Health, Education, and Welfare. January 15, 1969 President Johnson’s budget proposed a minimum 10% increase in Social Security benefit payments for 1970. April 1969 In coordination with HEW’s own task force, SSA established a Task Force on Manpower Utilization, which was headed up by Jack S. Futterman. May 1969 Secretary Finch released the final report of the Task Force on Prescription Drugs. Dr. Philip R. Lee headed the Task Force from its inception in May 19, 1967. The Task Force’s charge was to study the possibility of adding prescription drug coverage to the recently enacted Medicare program. 1969 HEW Secretary Finch established a Secretary’s Task Force on Medicaid and Related Programs. The president of the National Blue Cross Association, Walter J. McNurney, was made chairman; Arthur Hess was its staff director. How to Cite this Article (APA Format): Social Security Administration (2015). Chronology: 1960s. Retrieved (date accessed) from http://www.ssa.gov/history/1960.html.